In a broader context the entire rebirth of brewing beer with the quality and character to suit tastes as varied as the entire human species is something to celebrate. A significant motivator in the explosion of craft brewing has been the monopolistic tendencies of beer giants like Anheuser-Busch InBev, MillerCoors and others to produce and market beers that while perennially consistent tend to be remarkably bland. As these corporate giants gained control of global beer markets from the 1950’s through the turn of the century they got a rude awakening when sales began declining as small craft breweries began springing up across Europe, North America and Australia. Recent data gathered by Alltech company director Aidan Connolly notes that in 2018 there were over 21,500 craft brewers globally, noting that while the rate of growth has slowed to about 11% annually new localized specialty breweries are being established every year. 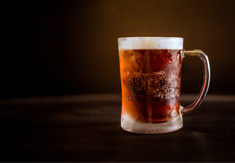 Changes and clarifications in the legal aspects of craft brewing in the U.S., principally permitting up to 6 million gallons of production annually, have resulted in some 6200 companies registered in the business making it the world leader. U.K., Germany and France follow in that order, with the latter an indication that younger people may be losing their traditional affinity for wine. In the Asian region population and economic giant China is just beginning to promote craft beer operations and longtime beer friendly Japan is seeing substantial growth despite tight control by corporate brewing giants. Thailand has made fits and starts in the craft beer business with Tah Din Dang brewery persisting while a few others have failed. On the plus side pubs specializing in craft beer on tap as well as in bottles are in abundance being supplied by creative importer-distributors like Beervana, Hopsession and Smiling Mad Dog. The Roadhouse at the corner of Suriwong and Rama IV is one of the longest established purveyors of craft beers under the leadership of co-owner and manager Dana Caron. Caron’s commitment to craft beer is manifest in his periodic IPA (India Pale Ale) Challenge which qualifies as probably the most serious tasting competition held in Thailand. This year’s competition, likely underway as you read this column, has all the trappings of several of the world’s most serious and respected wine judging events. Participants will blind taste 14 craft beers primarily from U.S. and U.K., available in Bangkok, and rate them on appearance, aroma, taste, mouthfeel and overall quality for a possible total of 50 points. Halfway through the three hour session a break is called for tasters to relax over Caron’s famous pulled pork sandwiches and—you guessed it—a cold beer. Stay tuned for results in next month’s column. Meanwhile give your palate a break and stop by your favorite pub for a bottle or two of the dozens of craft beers available locally. The price may be a bit steep but the pleasure is worth it!